The most celebrated wedding photographers know how to create images that are both beautifully composed, and capture moments of emotion and connection at the core of every powerful wedding story. With millions of couples getting married every year, there are many opportunities for wedding photographers to book and shoot clients. For every wedding, there are recommended situations and traditional moments that ought to be shot. But, a great wedding photographer also knows that there are unique and meaningful moments that aren’t listed on that pre-designed checklist, but instead happen when no one is looking. During your time photographing a wedding, you want to be focusing on capturing these unique, organic moments. Every wedding is different, as every couple is unique, and your photos should tell a story that’s a true representation of the couple you’re working with. Remember that you not only want to take photos that help couples remember what a moment looked like, but that will also help them recall what those moments felt like. How do you capture those moments in a moving and powerful way? The key is to witness and shoot the pure emotion that radiates from the couple and their friends on the wedding day. Here are 14 ways to capture emotion when photographing weddings. In order to capture emotion on the day of the wedding, preparation must to begin weeks before the actual day. From the beginning of your first meeting, it is vital to determine if a client is an appropriate match for your style of photography, as well as the mood and vibes you excel at capturing. For this reason, during your consultations with prospective clients, ask thorough questions about what exactly they are looking for. Also, take into account whether you are prepared and in a position to provide the services and products they require. Once you have established the above compatibility, it is then time to start cultivating a positive, communicative relationship. This isn’t to say that you have to become best friends with each and every couple that you shoot. However, there does have to be an underlying degree of trust in order for them to feel comfortable being themselves in front of your camera, especially on their wedding day. The quality of the photographer-client relationship is the most important factor in capturing genuine emotion during a wedding. If and when your clients love and trust you, then they will be more willing to let their walls down. In turn, you will be invited to share and shoot more moments with the couple if they feel comfortable and at ease with you. Ideally, to really capture genuine emotion during a wedding day, you want your clients to consider you as a close, intimate friend instead of a stranger hired to perform a professional session. When putting together your packages, consider including an “engagement session” with each wedding collection. By offering this additional time together, you are giving you and the couple another opportunity to get to know each other. During this engagement session, you can all get to know each other’s personalities, and they will be able to give you initial feedback on the images. If you choose to offer an engagement session, by the day of the wedding, the couple will feel a lot more at ease with you, and they will know exactly what to expect from you being in the room. As they have done it before, any initial awkwardness will be gone, and the overall atmosphere in the room will be more natural. In order to be in a position to capture exceptional moments, you need to have spent time preparing prior to the big day. Just like in any other professional project, preparation is essential for wedding photography. Therefore, before the actual wedding day, take some time to think through the choices you will have to make about lenses, gear, lighting, props and equipment. You certainly can’t predict everything, and it is almost inevitable that some plans will change on the day of the wedding. This is okay, being prepared doesn’t necessitate you also being inflexible. 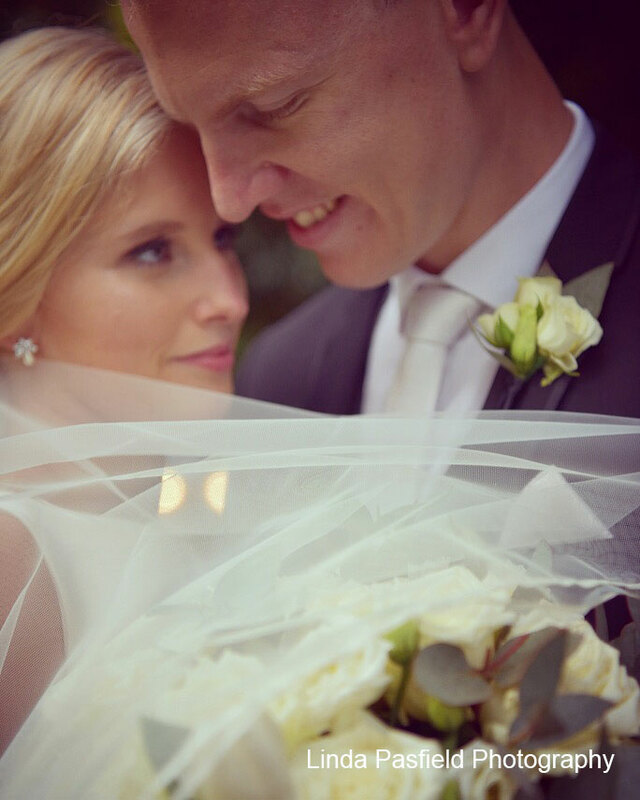 Throughout the wedding day, there are going to be many sentimental and emotional moments for you to capture. Part of the talent of being a wedding photographer is being able to anticipate when these special moments are going to happen. Being able to predict the moments correctly is the best way for you to get those emotion-filled shots. For example, you know that as the bride walks down the aisle, the groom is going to have an anxious and excited expression on his face. There is also a high likelihood that during this time there are going to be family members and friends who are watching who are also getting emotional. Anticipate taking some shots of important family members as they see her walking down the aisle. Throughout the reception, you should be prepared to take a couple of shots during the toasts and speeches, parent dances, and other family traditions. These times often bring out lots of genuine laughter and tears from those closest to the bride and groom. While it can seem like an overwhelming amount of pressure (and it is true, there is a lot of pressure on a wedding photographer), try to capture as many special moments as you possibly can. This way, the bride and groom will have a lot of option to choose from in terms of seeing how everyone felt throughout their special day. For example, during the father-daughter and mother-son dances, make sure you have at least one camera on each pair as they enjoy this beautiful time together. These are meaningful traditions for the bride and groom to fulfil on their wedding day, and an excellent opportunity to capture their natural emotions. After finding the right balance between being proactive and patient, there is nothing worse than spoiling a one-of-a-kind dynamic image with a person eating in the background, or an angle that has something in the room sitting on someone’s head. In other words, you also have to quickly focus on both the subjects of each image and the entire frame. When it comes to backgrounds, choose one that either enhances your image or that is clean and simple. For example, you might decide to shoot rings against the backdrop of the other sparkly pieces of jewellery the bride is going to wear. On the other hand, you may determine that this bride’s story should be presented in a different manner and, therefore, it would be better to photograph the rings against a clean, simple background. If any of your photographs are too soft or technically imperfect, you will not be able to give them to your clients. Unfortunately, in wedding photography, a mediocre image of a great moment is fundamentally the same as having no image at all. While it can be easy to get wrapped up in the excitement of everything that is going on around you, ensure that you are reminding yourself of the basics both before and during the wedding. While you are shooting, be cognizant of focusing and recomposing with your chosen f-stops, and of making sure your shutter speed correlates appropriately with the lens you are using. While you are attending the wedding, ensure you are maintaining a calm and composed presence throughout. It is incredible how much of an impact your presence as the photographer can have on the overall vibe of an entire event. One of the worst things you can do is to have cameras in people’s faces continually and your shutters constantly going off. Obviously, in order for you to get the shots you want, you are going to have to be assertive. But, even when you notice a moment starting to develop, you must find a way to move towards it and engage with it in a way that isn’t intrusive. Similarly, you must provide the couple and the attendees with space to express their emotions freely. Depending on the personalities of the couples and the attendees, some people may outwardly show a lot of emotion, while others will be more reserved. Either way, your job as a skilled photographer is to capture the couple and their guests precisely as they are. Encourage emotion, but never try to force specific moments, feelings, or reactions. The fact of the matter is that when you are shooting continuously (as you obviously will be), there is no doubt that you will be able to document some of those moments no one thought would be photographed, including the really intimate and sentimental moments. As a day of celebration for both your clients, and those who are closest to the bride and groom, you want to be capturing funny moments that they can all look back on, such as the groom laughing and dancing with his friends. It will be these emotion-filled images that are the ones which the bride and groom will be excited to see, and will instantly want to add to their wedding album. Remember: during the wedding day, continuously shooting can make a tremendous difference in the types of images you get to capture for the bride and groom. Another balance wedding photographers need to get is regarding giving (or not giving) directions to subjects. Without a doubt, some of the guests will need your expert advice when it comes to posing, but there will also be plenty of situations in which you do not need to give instructions to the couple or the guests. For example, during the reception when friends and family are connecting with the bride and groom, you do not need to pose your couple. Instead, use this as an opportunity for you to capture emotional and candid photos. Other instances such as during the bride and groom portraits, you can let the two of them walk together without definitive modelling instructions. Capture their genuine emotion and expressions as they walk hand-in-hand. Again, while following the couple with your camera, also remember to give them space so that they can act naturally and provide you with expressions that will no doubt create stunning images. At your next wedding photo session, try standing behind the bride and groom as they walk away from you. Once they turn to look at one another, zoom in with your camera and quickly capture the emotion that will be radiating from each of their faces. One of the hardest elements of being a wedding photographer is trying to strike the right balance between being proactive and being patient when attempting to get a great shot. While it can be difficult to find this balance, it is an essential element of doing a good job. Take the time to observe, and be on the lookout for opportunities that will both capture a unique moment of the wedding day, and also aid in advancing the overall wedding story you and your photography are trying to tell. Considering you are ideally looking to shoot candid moments, it makes sense that you should be moving around the venue quite a lot and looking for ways to change up the angles that you are shooting. For example, when the bride is getting ready, take a step back out of the action and allow her and her bridesmaids to have a moment together. While they are all together, tense and excited while helping the bride get ready for her moment at the altar, capture their animated expressions and genuine looks of affection and happiness for their bride friend (or relative). Additionally, when you position your bride and groom for their portraits, grant them a moment to themselves while they are in that scene. At this point allow them to have their space and walk away from them. From where you are now standing, take some shots that capture them and a significant portion of the landscape and scene around them. Even just by changing the perspective in such a simple way, you can catch the bride and groom’s many expressions, which is key to creating dazzling images. 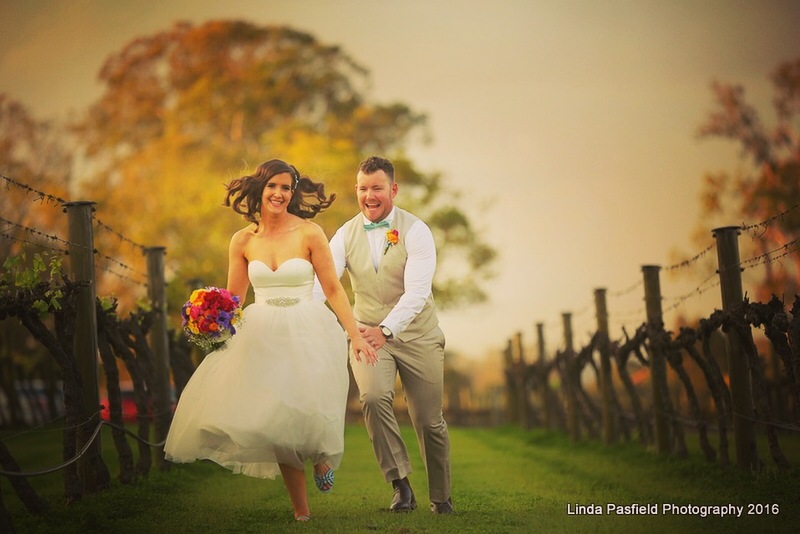 As a professional wedding photographer in Tasmania advises, you want to ensure that you are continuously challenging and pushing yourself to improve your craft. While photographing a wedding, in an effort to tell more in-depth and more complex stories, attempt to determine how many one-of-a-kind moments you can capture in a single frame. For example, you may be able to catch the mother of the bride’s reaction as the bridesmaids help her daughter into her wedding gown, or maybe some shots of the flower girls dancing along to the couple’s first dance. If you choose to take photographs that tell multiple stories in a single frame, then you need to ensure that each aspect of the story is dynamic and engaging. Always check if everyone featured in the frame is doing something interesting. Think about it — no couple wants to receive an image from their wedding day where half the people look bored. In these instances, you may want to focus on a single, super-impactful image instead. When it comes down to it, even though it will be a rushed and hectic day, it is still crucial to remind yourself of one thing: let your couple and the guests have fun! After all, this is their special day together! There will be plenty of chances for you to shoot them and to create serious moments, so you would also want to give them opportunities to have an enjoyable and unforgettable time. Again, the more comfortable they feel during the event, the better the images will be. The more positive and fun energy you can bring to the wedding, the more excitement your couple will have when they are in front of your camera (which also means better expressions). After you have taken the more traditional images, instruct the bride and groom to pose in manners and positions that will make them laugh. Maybe you can try having the bride hold the groom, and then capture their faces as they both burst into laughter at this attempt. Now, that’s you call “wacky”! Similarly, it can be beneficial to have them tell each other jokes or to make funny faces at one another. As repeated throughout this article, the key is to make them feel as comfortable as possible so they can have fun, be themselves, and delight your camera with their real emotions. If you have a second photographer working with you, make a plan of action at the beginning and split up to focus on particular segments and areas of the wedding. For example, during the reception, one of you can shoot the dance floor, while the other photographer can be taking photos of guests at the photo booth. Have you done wedding photography? What tips do you have for capturing raw and real emotions during the event?